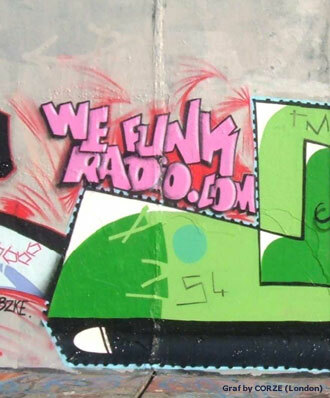 THE most amazing radio station and source of the funkiest beats and pieces since - ever! I've lost count how many times show 676 has been played in these deaf ears and it just gets better every time - respect to the WefunkRadio! Long life to WeFunk! Thanks for providing only great music! Keep it real! yo this website is THE gem of the internets. is there any of d#WNlo@ding the shows? blessings. WeFunk soundtrack to heliski in Stewart, BC. DEEP and funky'all. Peace. Nuff respect wefunk from the Bombshelter T.O. big show 676!! !see yeahhh C I A O from Salento,Italy!!! illy show like always. from upstate NY FWORD records tuning in for the funkiest of that funk....big ups to groove and static. keep doin your damn thang brothas!!!! DJs & GUESTS DJ Static, Professor Groove, Simahlak / RECORDED January 27, 2012 / HOSTING daduke, PJ, Mike & Oliver. You can help too! maxx traxx - don't touch it!